That’s right. The police arrested two men for the crime of man-spreading, i.e. taking up too much room on the subway by spreading their legs wide in order to accommodate what we can only assume are their massively large balls. 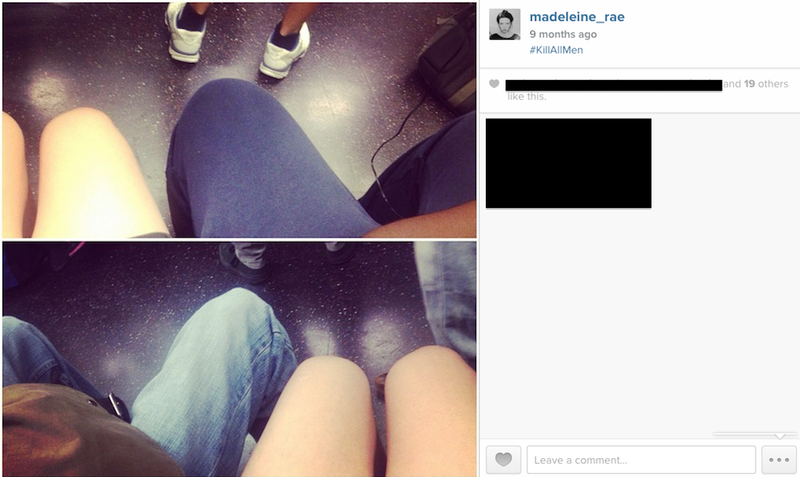 As a vocal opponent of manspreading, I was thrilled when the Metropolitan Transit Authority began speaking out against it and even more thrilled when some men, #NotAllMen, began having a very public tantrum about their right to take up as much space as their bait and tackle desire. But now I have to ask myself: Is this too far? Also, who do I hate more? Manspreaders or the NYPD? Answer: I hate them both and yes, this is too far. Basic rudeness isn’t exactly a criminal offense and if it was, the MTA would have the police arresting people for anything ranging from taking up a seat with their purse to playing music on their phone speakers to eating food that makes the entire subway car reek. Let’s battle this the way we always have—by demanding that man-spreaders move to let you sit. Trust me. I did it this morning and it felt great.